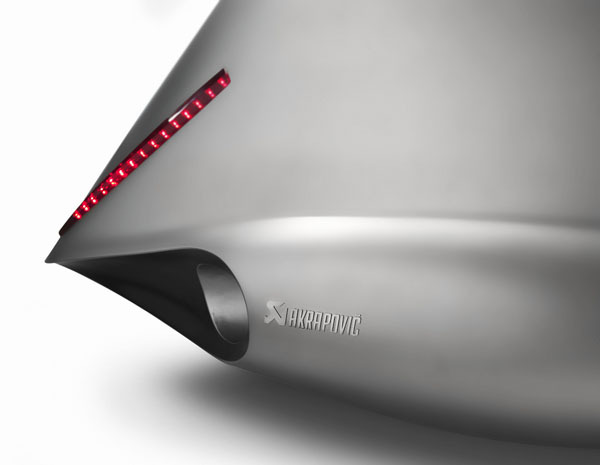 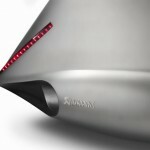 When the designers at Akrapovič, a Slovenia-based company known for its innovative exhaust systems, set out to create a new concept bike, their goal was to design one that defied categorization. 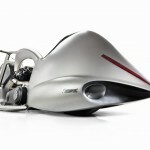 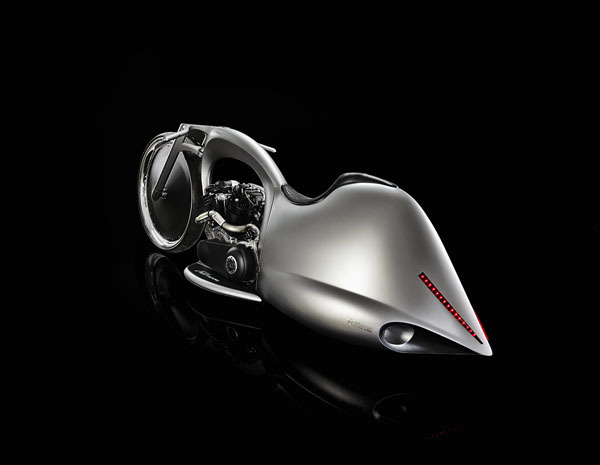 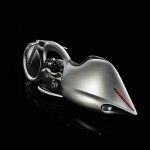 So, with the assistance of Slovenian Dreamachine Motorcycles, they spent 800 hours creating a motorcycle unlike any the market has ever seen. 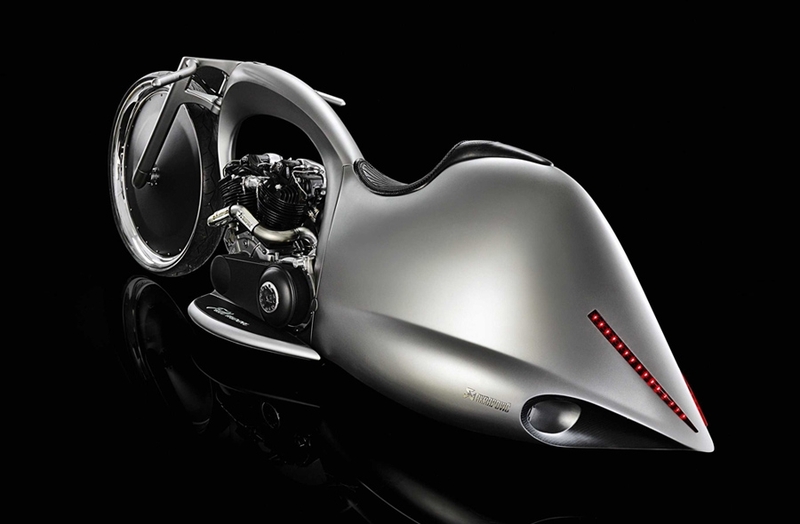 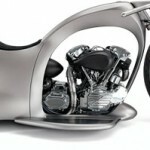 This technically-advanced concept bike takes its name from the huge aluminum and carbon thirty-inch front wheel that gives the impression of a full moon. 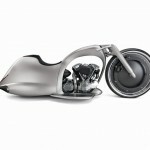 It also sports an S&S Knucklehead 1,524 cc engine and two modified custom-made Akrapovič exhausts. 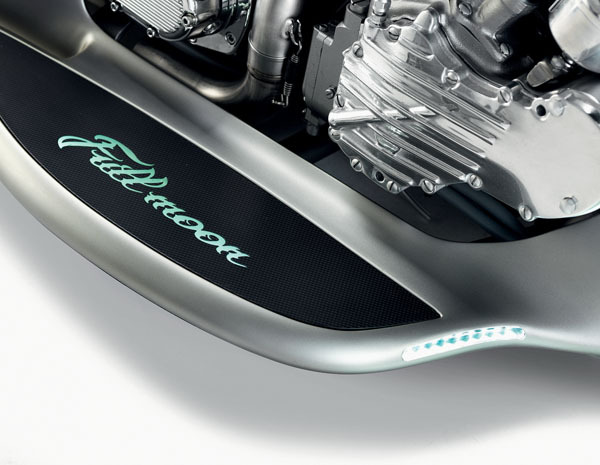 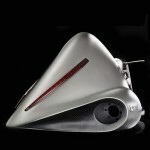 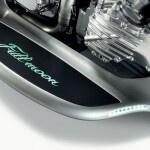 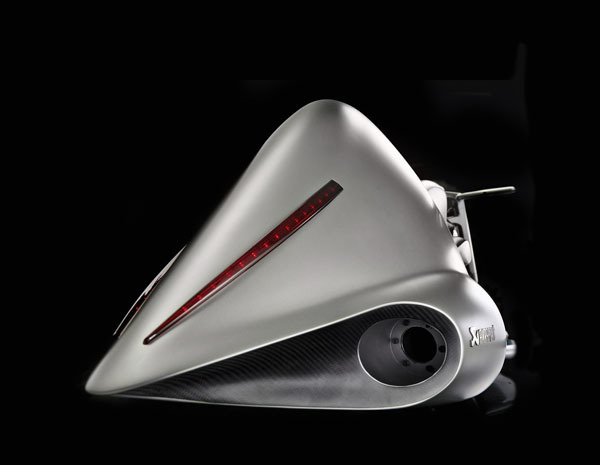 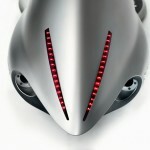 The Full Moon’s sheet metal bodywork has been designed to form an extension to the exhausts, so, as the company describes, “the bike itself is essentially an exhaust.” The Full Moon features other innovations, such as a composite braking disc. 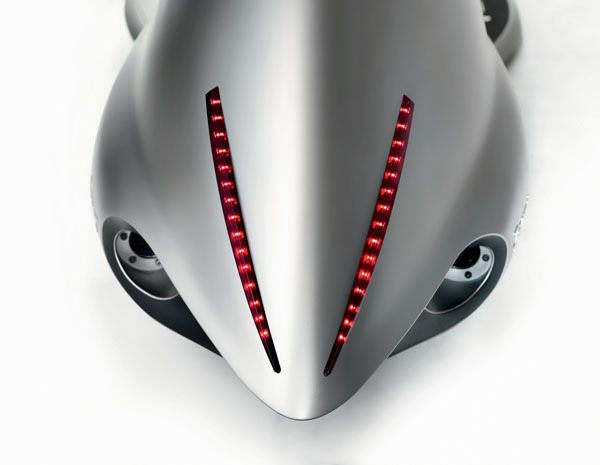 The bike’s automated steering mechanism is based on a minimalist steering rod and eliminates the need for visible cables. 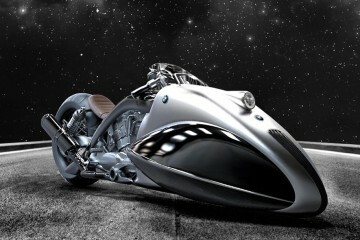 Thanks to its hydraulic suspension, the Full Moon can stand upright when parked. 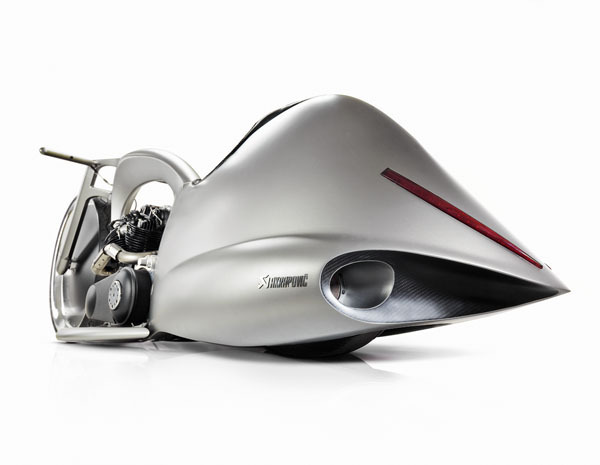 Akrapovič’s Full Moon concept bike made its world premiere in December at the Bad Salzuflen Custombike Show in Germany and immediately captivated show visitors and members of the media. 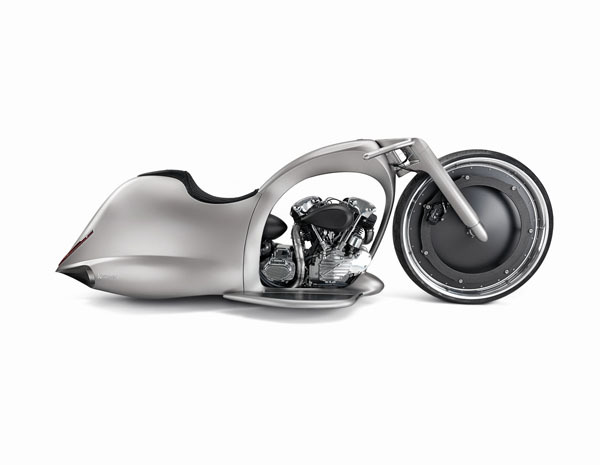 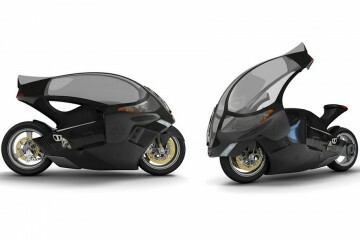 The company plans to showcase its revolutionary new motorcycle at many other events, exhibitions and fairs, so you just may be able to see a Full Moon in the very near future.